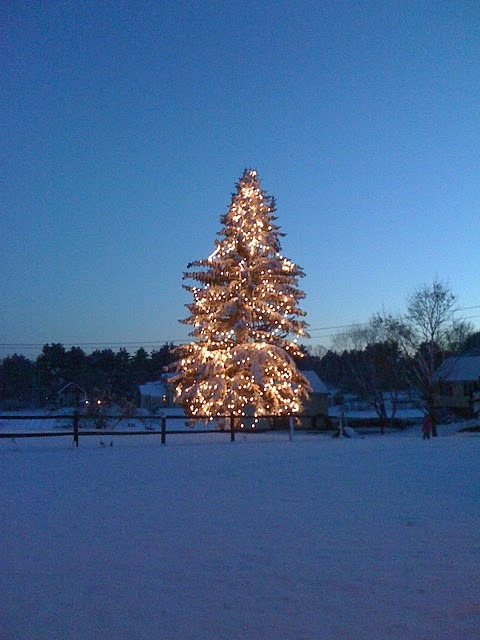 this tree is just up the road from my house. i love it. i am not a big fan of boatloads of christmas lights, so this seems just about perfect.